« Cape Ann Museum: February Vacation Once Upon a Contest! 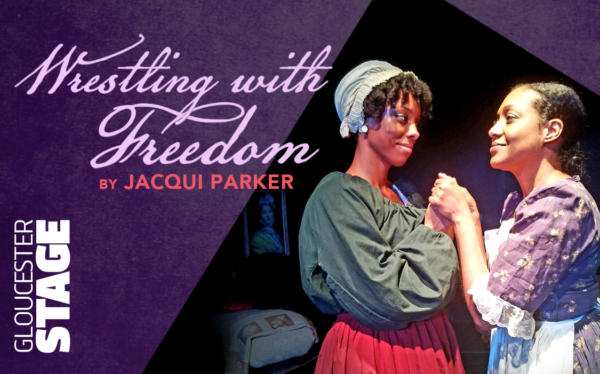 Phillis Wheatley’s life and friendship comes alive on stage in Jacqui Parker’s (Director of The Agitators) new play. Freed-slave and famed Boston poet, Wheatley was one of the best-known poets in pre-19th century America. Educated and enslaved in the household of prominent Boston commercialist John Wheatley, paraded in front of the still-young American political leadership and the English empire’s aristocracy, Phillis was the abolitionists’ illustrative testimony that freed slaves were both artistic and intellectual. She was a household name across the world after publishing her poetry in both England and the United States – her achievements a catalyst for the fledgling antislavery movement. Wrestling with Freedom highlights the friendship between Phillis Wheatley and Obour Tanner, another freed slave woman. Inspired by actual letters written to Obour and poems written by Phillis, this play speaks to the American Revolutionary and struggles of slavery, through two brilliant women’s minds. Wrestling with Freedom is a world premiere presented at Gloucester Stage Company Friday, February 22 at 7:30pm and Saturday, February 23 at 4:00pm and 7:30pm. The show is approx 80minutes. Tickets are $25 for all ages and available online.